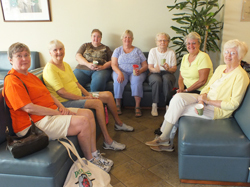 Seniors can get fit, stay in shape, make new friends and find companionship at The Connection! You will find a wide range of fitness programs designed specifically to help older adults achieve the level of level of health and wellness you desire. Participate in group fitness and wellness classes; enjoy time in our beautiful 5 lane, 25 yard pool; choose from a variety of dance classes; work with a personal trainer in the Fitness Center; learn new skills; rediscover a passion, and much more! 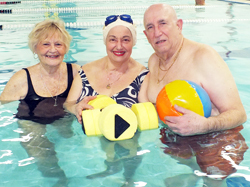 Senior Swim – Free to our senior members, three afternoons per week. Water Exercise Classes – Gentle Aerobics and Gentle Stretch classes that support and strengthen joints through the buoyancy and soothing water. Group Fitness Classes – A wide variety of classes to energize your body and quiet your mind including Exercise for Parkinson’s/Balance, Strength Training for Osteoporosis, Yoga for Parkinson’s, Zumba Gold, Chair Yoga, Light Strength Conditioning, Low Impact Power Hour, Tai Chi, a variety of gentle yoga classes, and much more! 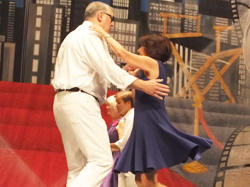 Dance Classes – Enjoy instructional classes in a variety of styles and levels including Tap, Ballet, Jazz, Ballroom Dance, Belly Dancing and Hip Hop! Fitness Center – Our Certified Trainers will design an individualized work-out program for you in a relaxed and welcoming atmosphere.